St. John's honors its Anglican roots by upholding formal hymns and service music traditionally found in the Episcopal Church. Led by Mr. Patrick O'Briant, our music ministry supports three choirs: an adult choir, a children's choir, and a handbells choir. 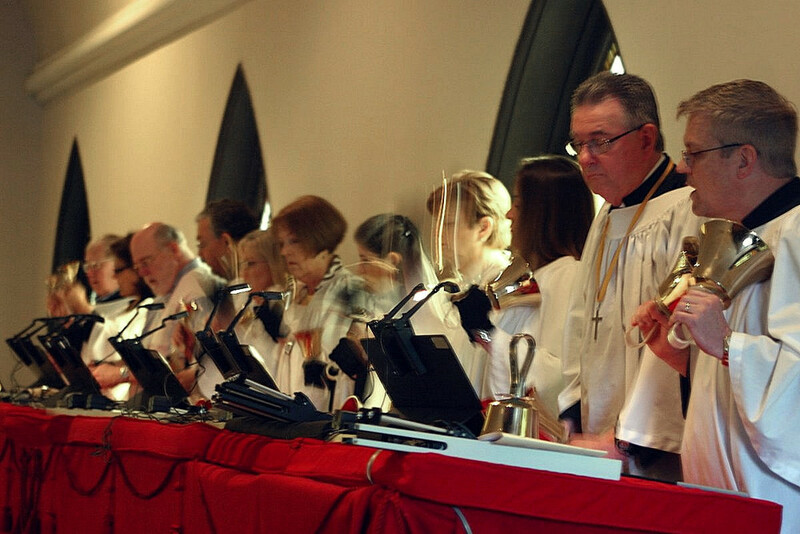 St. John's has an active music ministry with three choirs: an adult choir, a children's choir, and a handbells choir. Much of the Episcopal Church's worship music has been handed down from our Anglican roots. We strive to honor those roots with formal hymns and service music. Join us for worship and experience our rich, storied musical traditions, led by our Music Director Ryan Pagels. Ryan Pagels accepted the position of Music Director for St. John's Episcopal Church, effective August 13, 2018. He also serves as the accompanist and vocal coach at Methodist University. Music is his life, his passion, and has been very blessed to be able to make a career of it, which is becoming increasingly more difficult for musicians. The church has had six organs. Early ones were pumped by hand, and one was activated by a water-powered motor. The present organ is an 18-rank mechanical (tracker) action organ built by the Walter Holtkamp Co., in Cleveland, Ohio. It was as installed in 1979. The original church bell was donated to the Confederacy during the Civil War. The first vested choir sang at the Christmas service in 1903. A temporary extension of the chancel into the nave was provided to accommodate the choir. The vested choir was made permanent in 1904, but the present chancel did not come into being until 1913 when additional space was created for the organ chamber and the choir. Before this change, the choir sang from the balcony. The organ and the choir were restored to their original locations in the balcony in 1979. Consider joining our adult choir or handbells choir. The adult choir rehearses Sundays at 9 a.m. September through May. The handbells choir rehearses Wednesdays at 5 p.m. September through May. 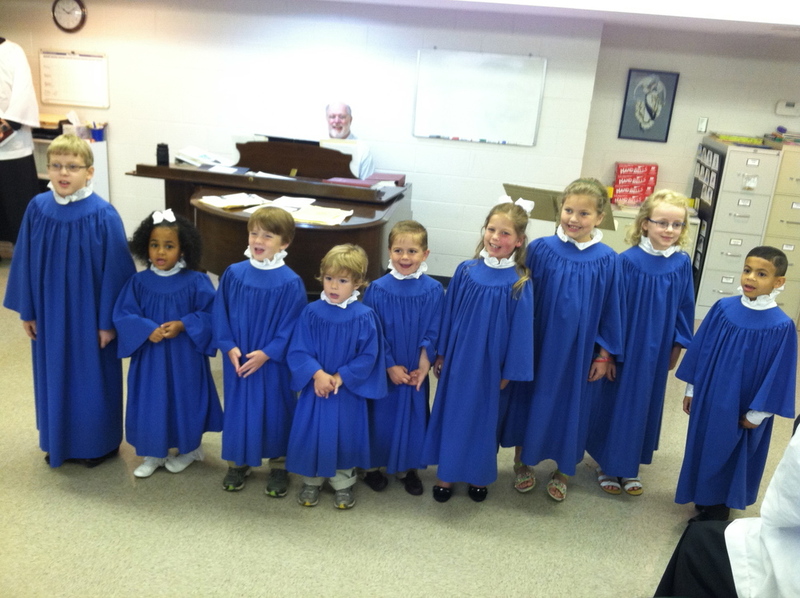 Little ones can participate in the Children's Choir on Wednesdays at 5:30 p.m.